Want to get a taste of our Inventor workshop? Take a look below. We believe in inspiring the next generation of makers, designers and inventors creating global innovation and cutting-edge developments. We also believe in the power of women & young girls and that they too can become world changers and creators. 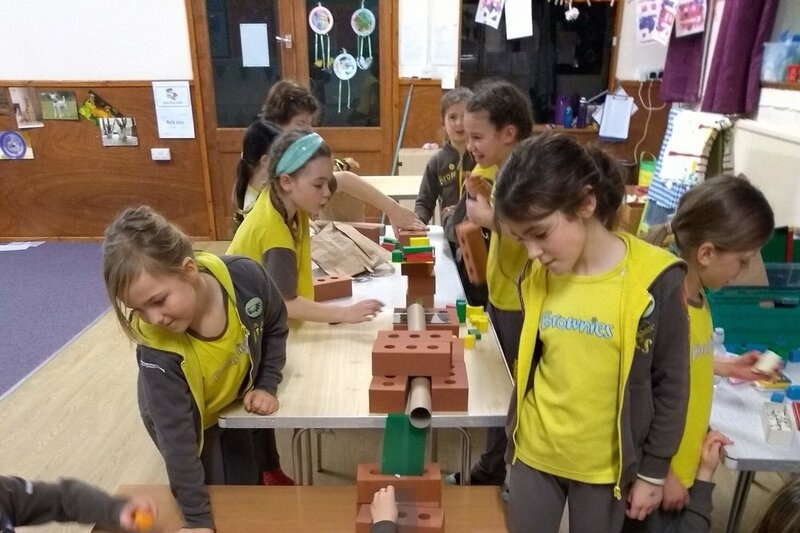 Book our mobile makerspace for your Girlguiding session to earn the Inventor Badge in one evening. The girls will meet an engineer who can talk about her experience, answer questions and present the different career paths in STEM. Group Size: Each session can accomodate up to 20 children. We have flexible options for larger groups, please get in touch. Inventors dream up ideas to help solve problems. What would make your daily tasks easier to do? What would you create? Have a go at finding one or two inventions that you use at school or at home, created by a woman and found out about her life. What was her story and what inspired her? What was she trying to solve? Present what you find in a fun and creative way. Think of yourself as an inventor. You have a problem, and you need to solve it. How would you do it and what would it fix? What tools would you need to do it? The problem can be anything. Maybe you've dropped your mobile phone down the side of your bed and can't reach it through the gap, so you create a hand grabber to reach it easily. Or, you want to make a light bulb work and invent a potato battery. Explore your thoughts, write down your ideas, and decide on your invention. Brainstormed? Chosen and idea? Great! Now let's make a prototype. A prototype is a model of what your invention would look like based on what you designed. Have a go at drawing your invention. Once done, think about the materials you will need to build it. What do you have available to you? How much will it cost to make? How will it work? Show your prototype to someone and talk through the process, from your initial thoughts and ideas to the final design.